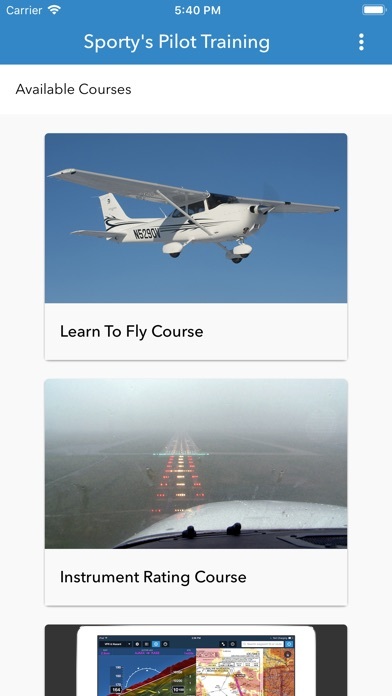 Sporty’s innovative Pilot Training app brings a variety of aviation training courses to one location, allowing you to access all your aviation content from your iPad, iPhone or AppleTV. 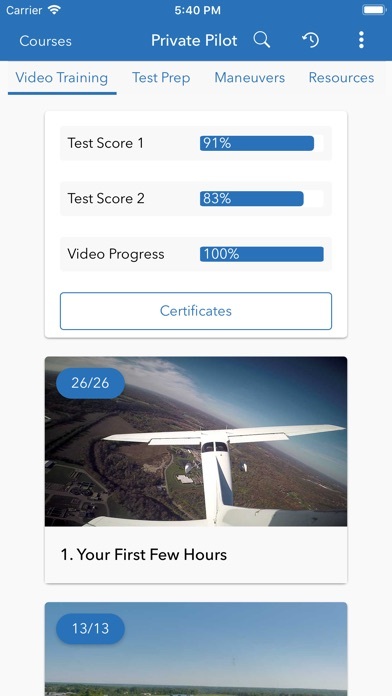 The Pilot Training app allows you to access Sporty’s award-winning 2019 Learn to Fly/Private Pilot Training Course, Sporty’s 2019 Instrument Rating Course, Flying with ForeFlight, Flight Review, IPC, VFR Communications, IFR Communications, 2019 Garmin G1000 Checkout course and four aircraft transition courses covering Helicopters, Multiengine Airplanes, Seaplanes and Gliders. It’s free to get started - including interactive FAA practice tests and HD training videos. SPORTY’S 2019 LEARN TO FLY COURSE For the cost of a single flight lesson, Sporty’s Learn to Fly course will save you time and money earning your pilot certificate. This is not a weekend “cram course” or a boring ground school lecture on video. It is a comprehensive flight-training companion designed to make your lessons more efficient, more complete and more fun. We operate our own flight school at Sporty’s, so we know your time and money are precious. Invest in a course that saves you both. There is nothing extra to buy—just add flight instructor! INCLUDES: 20 hours of HD video training with search, knowledge test prep, interactive flight maneuvers guide, video-referenced Airman Certification Standards (ACS), Flight Training Syllabus, Ask a CFI service. After successful course completion, you’ll earn an FAA knowledge test endorsement and FAA WINGS credit. SPORTY’S 2019 INSTRUMENT RATING COURSE With Sporty’s Complete Instrument Rating Course, you’ll ace your FAA written test—we guarantee it! But this app is much more than just test prep. With incredible in-flight footage and 3D animations, we unlock the secrets of the IFR system so you can be a safe, smooth and proficient pilot. Detailed video segments cover both glass cockpits and analog gauges. 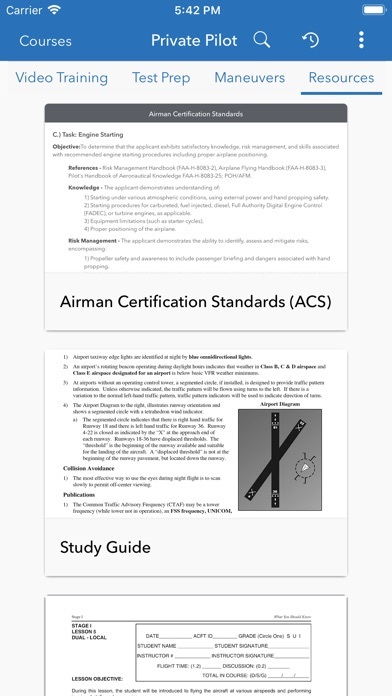 INCLUDES: 13 hours of video training, knowledge test prep, interactive instrument maneuvers guide, video-referenced Airman Certification Standards (ACS), Flight Training Syllabus, Ask a CFI service. 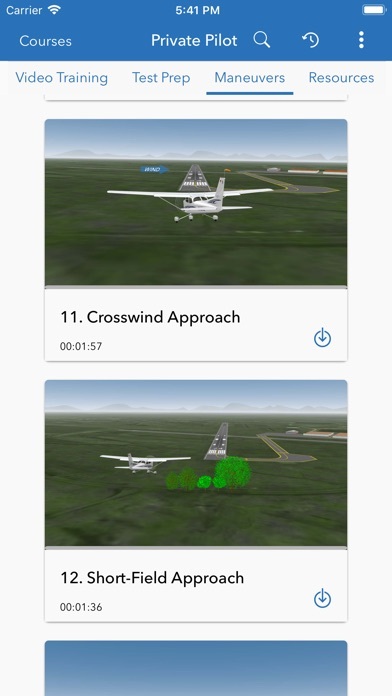 SPORTY’S FLYING WITH FOREFLIGHT COURSE This comprehensive ForeFlight training video is packed with jargon-free tips and real-world shortcuts. It’s ideal for prospective users, new ForeFlight pilots and experienced pros alike. FLIGHT REVIEW Covers everything you should know to impress your instructor and ace your next flight review. Includes ground training endorsement upon completion. 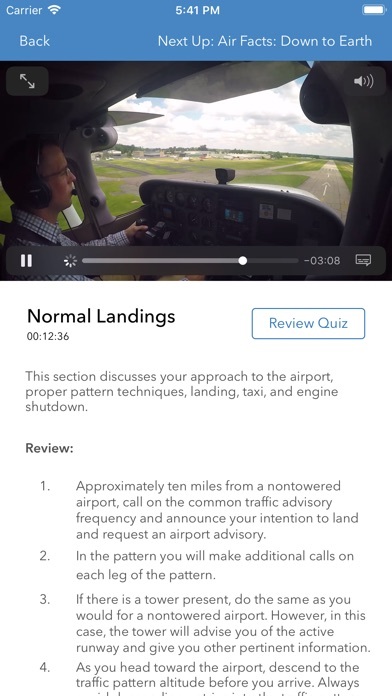 INSTRUMENT PROFICIENCY CHECK Based on Sporty’s award-winning Instrument Rating Course, the Instrument Proficiency Check app contains over 165 minutes of engaging 3D animations and in-flight video. SPORTY'S GARMIN G1000 CHECKOUT (All new for 2019) Thoroughly prepare yourself for glass cockpit flying with this course. SPORTY'S VFR COMMUNICATIONS COURSE Features over 60 minutes of engaging 3D animations, in-flight video and real-world communication scenarios. SPORTY'S IFR COMMUNICATIONS COURSE IFR Communications is broken down into 7 individual video segments. 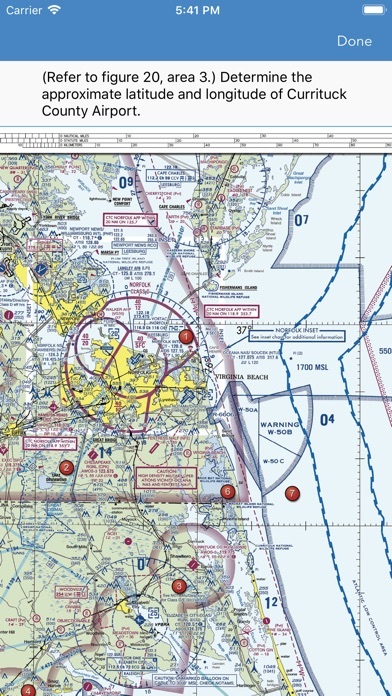 This program gives today’s instrument pilot a real-world look at IFR operations through all phases of flight. SO YOU WANT TO FLY HELICOPTERS This comprehensive program includes preflight, basics of flight, hovering, taxiing, takeoffs and landings, maneuvers, weight and balance, autorotation, emergency procedures, systems and components, FARs and more. SO YOU WANT TO FLY TWINS Designed specifically for pilots adding a multiengine rating to their private or commercial certificate. SO YOU WANT TO FLY SEAPLANES Climb into the back seat of a Piper J-3 Cub on floats for a pilot’s eye view of all the maneuvers required for the FAA checkride. SO YOU WANT TO FLY GLIDERS With exciting in-flight footage, you’ll see all the maneuvers from inside and outside the aircraft, and you’ll ride along for a self-powered launch, an aero-tow and a winch launch. Used along with Sheppard Air and made 87 on the IFR. Like the Sporty’s content. I am using the Sporty’s app for my instrument rating. The content is high quality and up to date. It has a great user interface and I like how the videos are broken down into easy to digest segments. The multiple types of test prep was extremely useful for preparing me for my instrument written which I got a 97% on. I will definitely use this app for my future ratings as well and I highly recommend it to others. I used the older version for the pts standards and I scored a 93 on my written. Now with this later version it is so much better being able to cue the videos 15 sec forward and back. I just passed my BFR with the help of this. I used the older instrument course but my eyes started to glaze over from that content. But now with the cueing feature. I might be able to back up the videos often enough to make it sink in. I’ll be getting to work on that soon Thanks Sporty’s. Nice Update! I downloaded this about 2 weeks ago and have completed about 1/2 of the course. I was following everything fine until about the 25% way through the program, I am guessing because it was fairly simple stuff. When things get more complicated they really rush through the charts and explanations and might cover 5 topics in a 8-10 minute video. It is almost like they are assuming that you are already exposed to a decent amount of the IFR language, charts and acronyms. I constantly find myself going back on the video to try to figure out what he is talking about. Personally, I feel that a 17 minute video with many new introductions is completely overwhelming. I am taking this course because I am a novice and do not know IFR and the charts. I also purchased the private pilot program 2 years ago and found it to be better and it didn't just whip through the explanations and terminology's. I am not impressed for the price they charged. Wish I had tried one of the cheaper ones first. After the last update I cannot get the figures to load in some of the test questions. Overall great app, definitely worth the money! Easy to access interface, smooth video playback. 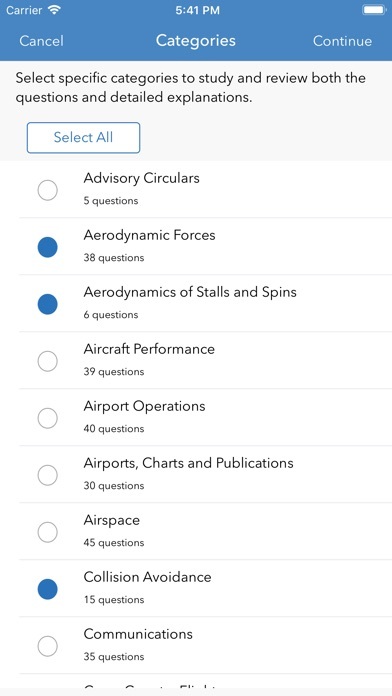 I would say without a doubt it’s the best practice FAA test app on the market. If you have not done the written I highly recommend buying this app! 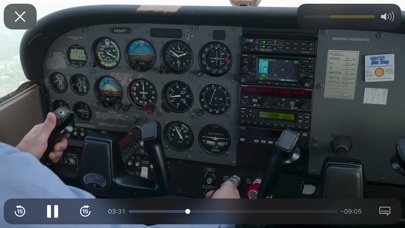 The new IFR videos are great, but I am having trouble recognizing the menu items at the top of the page due to the poor color contrast. Please fix this. The app is requiring me restore the purchase every time the app times out. In addition it’s making me redownload every video. Also I have several of the other private pilot and instrument apps and it’s not allowing an interface between accounts. Without repurchasing. Please fix. Great preparation for the instrument written, as well as becoming acquainted with instrument flying!